Witmer Stone was born in Philadelphia on September 22, 1866 to Frederick Dawson Stone and Anne Evelina Witmer. Frederick Stone was a well known historian who, for a time, served as the librarian at the Historical Society of Pennsylvania and received the honorary degree of Doctor of Letters (Litt.D.) from the University of Pennsylvania in 1895. During his youth, Stone attended Germantown Academy, enrolling in the fall of 1877 and graduating in the spring of 1883. At that time, Germantown Academy was located at the corner of School House Lane and Greene Street in the Germantown section of Philadelphia where Stone and his family moved when he was a very young boy. 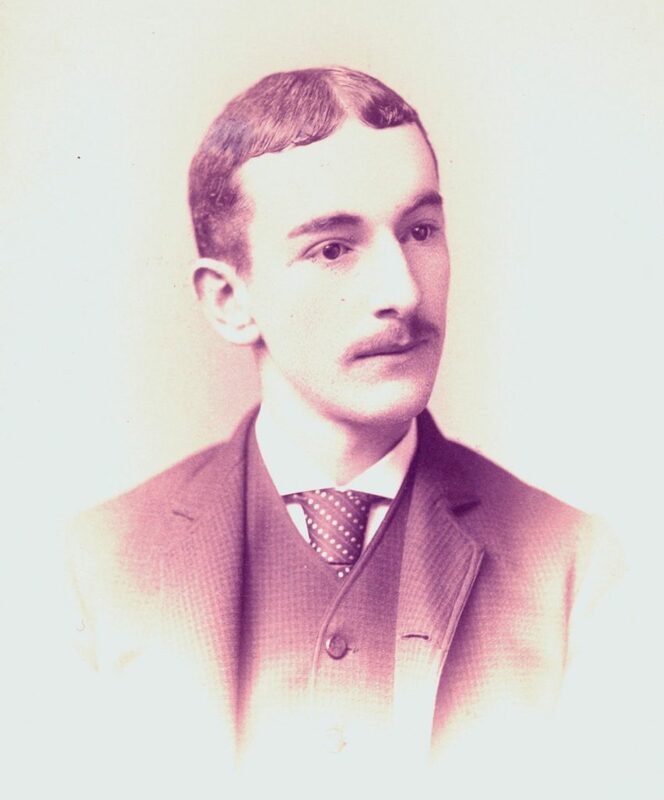 Stone enrolled at Penn in the fall of 1883 as a freshman in the Class of 1887 and graduated with that class four years later. According to the 1887 yearbook, Stone was an excellent scholar, but did not have many activities outside of the class room. Following his graduation from Penn, Stone began post-graduate academic work at Penn and was hired as a Jessup Fund Student at Philadelphia’s Academy of Natural Sciences in 1888. The recent college graduate was put in charge of the Academy’s massive collection of birds which had fallen into disarray. Over the next fifty years, Stone worked to better classify and store the Academy’s spectacular collection of birds, preserving the collection and enabling it to last for a longer period of time. This in itself was a huge contribution to the study of ornithology as it expanded and preserved study material on the subject. The administration of the Academy of Natural Sciences quickly became impressed with Stone’s work and allowed him to lead an expedition to Central America in 1890 to study bird life there. Soon after Stone returned to the United States, he completed his work on his master’s degree. He received the degree of Master of Arts in 1891, the same year he was promoted to conservator of the ornithological section of the Academy of Natural Sciences, a position he held until 1918. Stone continued to advance through the administrative hierarchy of the Academy of Natural Sciences. In 1893 he was named assistant curator of the Academy’s museum and retained that position until 1908 when he was promoted to curator. In 1918, Stone was again promoted, this time to executive curator and curator of vertebras. He held the position of executive curator until he was named director of the Academy of Natural Sciences in 1925 and the position of curator of vertebras until 1936. In 1927, Stone was named vice president of the Academy, a position he held until his death. Stone’s last appointment at the Academy was that of director emeritus, a position he held following his resignation as director in 1929 until his death ten years later. Stone’s career was mainly focused on his study of birds and their migratory patterns. He was so well known in this field that a wildlife sanctuary at Cape May Point, New Jersey, was named in his honor by the National Association of Audubon Societies. The sanctuary was an extremely popular stopping point for a number of species of birds during their migrations to and from the southern United States. In 1938 Stone published Bird Studies at Old Cape May, a two volume, 900 page tome, which was essentially the culmination of his life’s work. In recognition of the book’s contribution to the study of ornithology, Stone was posthumously awarded the Brewster Memorial Medal by the American Association of Ornithologists in 1939. That was far from the only award Stone received for his work. In 1913 he was honored by his alma mater with the presentation of the honorary degree of Doctor of Science. In 1931 he was awarded the Otto Herrmann medal by the Hungarian Ornithological Society in recognition of his work. The Herrmann medal is the highest honor bestowed by that society. During his distinguished career, Stone was a member of more than fifteen academic clubs and societies. Stone served as president of the American Society of Mammalogists, The Pennsylvania Audubon Society, the Delaware Valley Ornithological Society (which he helped to found), and the American Ornithologists Society. Stone also edited the journal of the latter society, The Auk, from 1912 until 1936. Stone was also a member of the American Philosophical Society, the Philadelphia Botanists’ Club, the American Association for the Advancement of Science, the British Ornithologists Union, the Zoological Society of Philadelphia, and the prestigious International Committee on Zoological Nomenclature. Stone died on May 23, 1939, in a hospital near his Germantown home. He had been ill for several months preceding his death.